One of the nation's largest telecom companies may be paying significant penalties for dumping of electronic waste in California. The California Attorney General's Office and the Alameda County District Attorney announced a preliminary settlement agreement with AT&T today covering nine years in which the company allegedly discarded hazardous electronic waste illegally, sending it to landfills. The settlement, if approved by the Alameda County Superior Court, will require the telecommunications giant to pay $21.8 million in penalties and another $28 million to update environmental compliance over the next five years. AT&T was allegedly throwing away Internet routers, as well as cable splitters, batteries, aerosol cans and some liquid hazardous materials, prosecutors said. 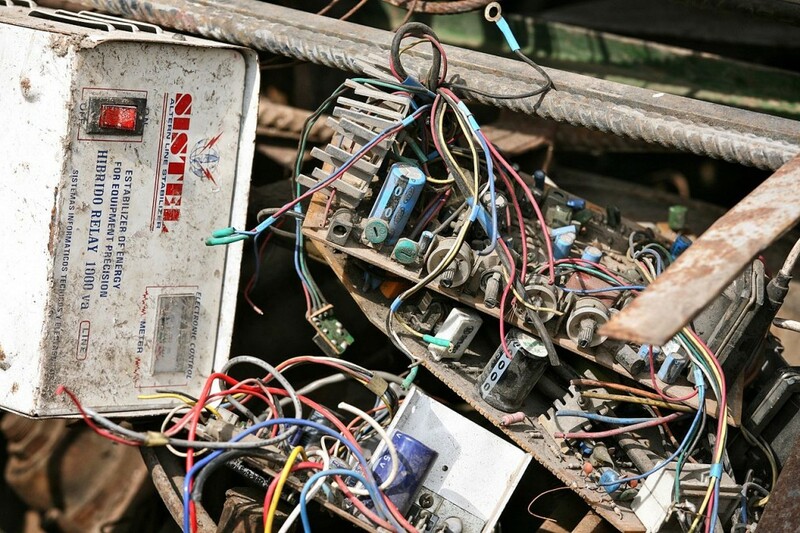 The primary violation was electronic waste going to landfills, in the millions of items. "This actually is the first enforcement action where the primary hazardous waste was electronic waste in the state of California," said assistant Alameda County district attorney Ken Mifsud, who heads the office's environmental unit. The civil enforcement action brought by state and local prosecutors alleges that more than 235 AT&T warehouses and dispatch facilities, at which technicians installing commercial and residential phone, Internet and cable services are based, were routinely throwing e-waste into general trash bins. Electronic circuit boards often contain heavy metals like lead and other materials defined as hazardous waste under California law. Mifsud said investigators became aware there could be violations three years ago. "So we decided to take a look at their waste dumpsters to see if in fact that was true, and we determined through dozens of waste inspections for facilities in northern California that they were systematically disposing of hazardous e-waste items." Prosecutors said AT&T was extremely compliant as soon as the company was informed of the investigation. The company is voluntarily spending $28 million to upgrade environmental compliance, what Mifsud called "above and beyond" what a normal business would spend. "We take environmental stewardship seriously, and we’ve cooperated closely with the state and Alameda County to resolve this issue in a way that is in the best interests of the environment, our customers and all Californians," AT&T spokesman Marty Richter wrote in an emailed response to KQED's inquiry. Richter wrote that AT&T is now screening and sorting "all waste materials originating from our facilities in California to ensure proper handling, recycling and disposal of all materials -- hazardous and non-hazardous." Contractors inspect "staging bins" before waste is put into the general stream, and AT&T can also expect hundreds of unannounced inspections from environmental regulators. Also, Richter wrote, AT&T added more than a dozen supervisors whose principal focus is California waste regulation requirements. The company revised employee and contractor training and instituted a color-coded system, with pictures, delineating what trash goes where. "They know we could check at any time to make sure that the program’s still working," Mifsud said. "They’ve agreed to a number of unannounced inspections of their facilities, hundreds of them, every year for the next five years." Of the $21.8 million in penalties, $3 million will fund Supplemental Environmental Projects throughout the state. The State Department of Toxic Substances Control, which performed field inspections at AT&T sites as part of the investigation, is expecting to get $1.5 million for upgraded lab equipment to test for hazardous materials. The remaining $18.8 million is earmarked for prosecution of environmental and consumer cases at the Attorney General's Office and more than 40 county prosecutors' offices throughout the state, including Alameda. "It can't be used for anything else," Mifsud said. He said he couldn't comment on potentially ongoing investigations involving other companies that may be unlawfully disposing of hazardous materials, but the Associated Press reports that five other telecommunications companies have disclosed in financial filings with regulators that they are the targets of similar investigations.